Original Hair, Eyes and Skin Colour By Blood Group. To help explain why we look the way we do. Please remember that because of how mixed most people have now become, not everyone is going to fit perfectly into these. The only group who are consistent in looks would be those families who have been consistent in only breeding within their own pure group of O negatives only, as these are the only blood group that isn't mixed with others through genetic engineering. O Rh D Negative - The Most Ancient Blood Group. Light Strawberry Blonde - Dark Auburn hair colour, with all the shades in-between. Babies can be born with white hair which turns more of a copper auburn shade as they get older. Babies can also be born with pale copper, turning more into a medium auburn as they get older. Hair can be wavy or very curly, but rarely completely straight. Skin colour is always white, from a very pale snow white through to a pale pink or peach. Eyes are blue, grey or rarely violet. Because O negs normally have mood eyes they can change to any colour, but these are the normal colours. O Rh D Positive - The Second Most Ancient Blood Group. The first genetic experiment of the O negs mixing their genes with those of ancient simians created these people. Hair colour can vary greatly and can be more or less any colour, from blonde straight through to black woolly hair. Skin colour is also the most diverse in this group, from pale white through to black. Eyes can be any colour at all. The biggest effect on the looks of these people is dependent upon where they live in the world. The ones who were placed in hot countries evolved to have black skin and wooly hair, the ones in cold climate will have remained pale skinned. The black skin was needed for these people because without the protection of the hair that simians have all over their bodies, they would easily burn in the Sun, so black skin, despite what we are told, is part of evolution for those living in climates that required it, and NOT the other way round. 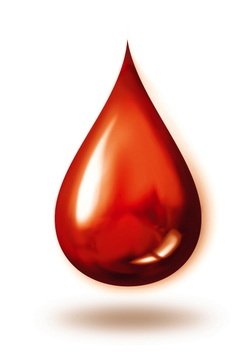 A Rh Positives Blood Group. These were a later experiment of the Neanderthals, taking some of their own genes and mixing it with chimpanzee genetics. They became the Homo Heidelbergensis, then with more experiments and evolution they became the Cro-Magnons. Straight light blonde through to dark brown hair is dominant in this species. Skin can be very pale to light olive. Because these were placed mainly in Europe they retained pale hair and skin. A Rh D Negative Blood Group. These are generally the same as A Rh positive in looks, but can also have some of the O neg looks as they are carriers of the O neg genetics. B Rh D Positive Blood Group. These were a results of experiments taking Neanderthal genes and mixing them with those of gorillas. They became Homo Erectus, and still in some remote parts of Africa full blooded Homo Erectus can still be found. They have black hair and black skin, and paler brown skin in some areas, and in other areas they became oriental looking. The genetic differences happened over long periods of time, creating the different looks, however a 'Native' American Indians today, still very much look like an oriental Asians. Because gorilla skin is very black, most of this line are very black, however with experimentation and genetic engineering some became paler skinned. Some Neanderthals also chose to breed with these creating paler skinned ones through the generations. They have brown eyes only. B Rh D Negative Blood Group. These are generally the same as B Rh positive in looks, but can also have some of the O neg looks as they are carriers of the O neg genetics. AB Positive and Negative Blood Groups. These are the most mixed of all and can acquire looks from any of the above groups.